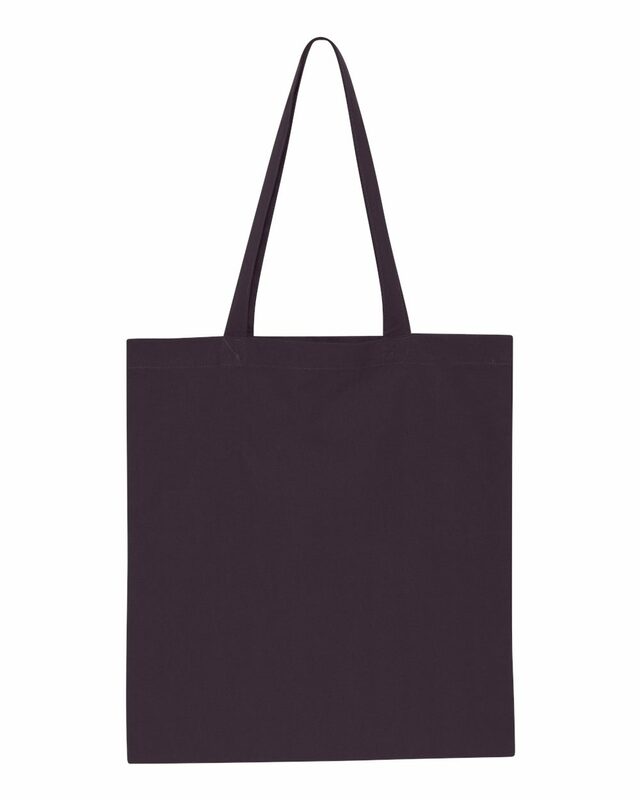 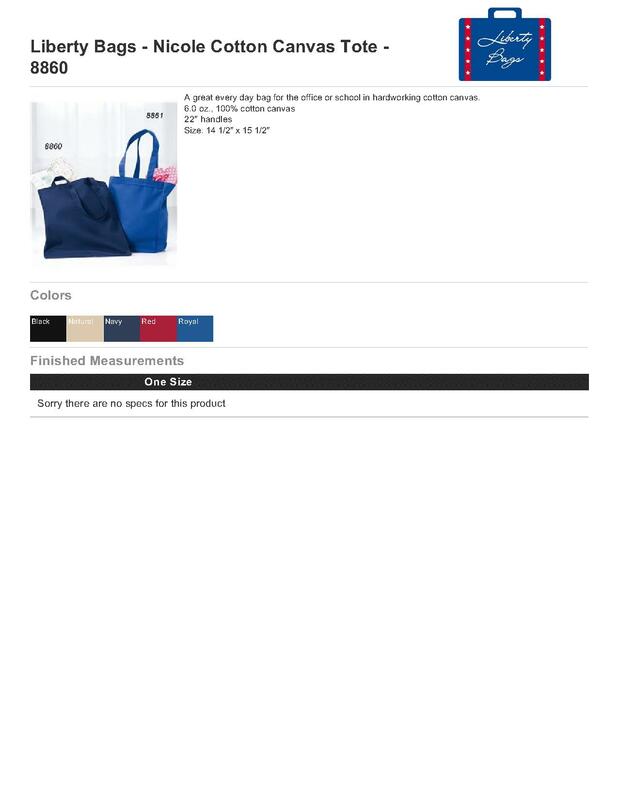 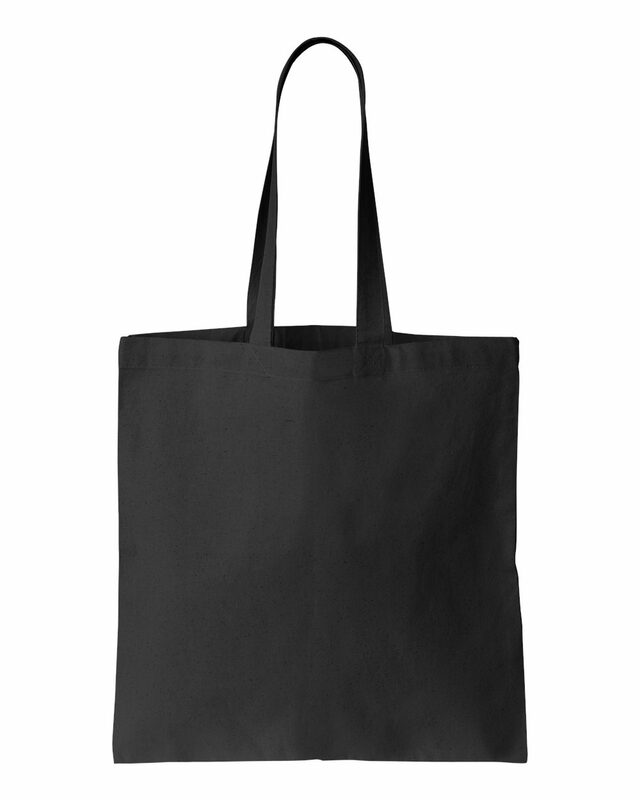 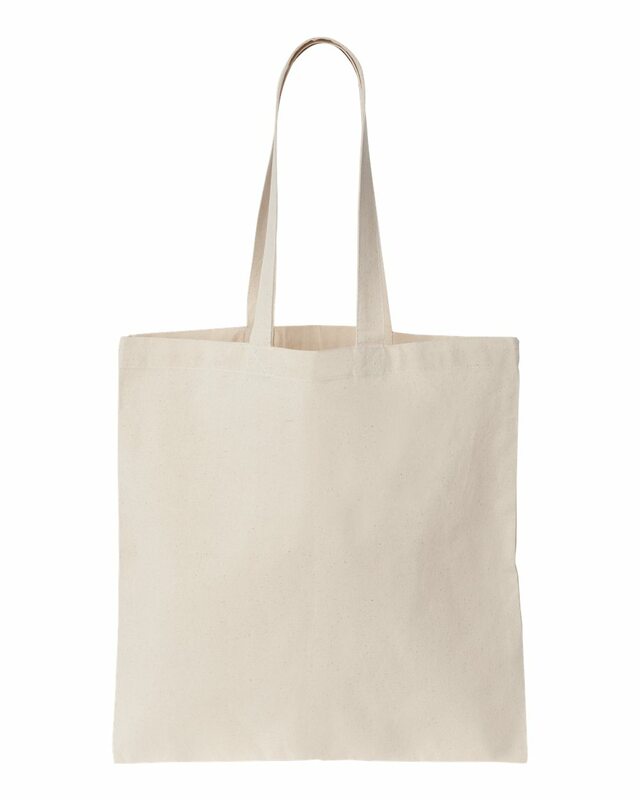 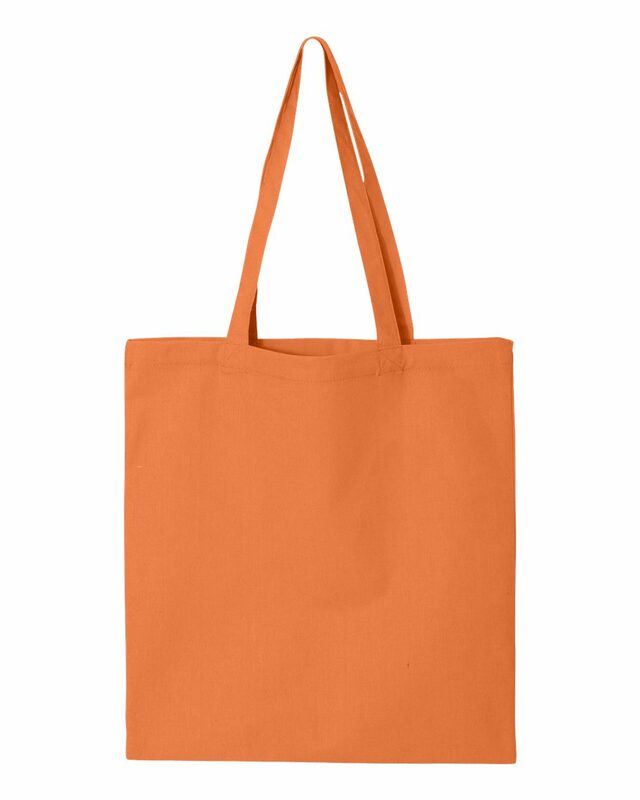 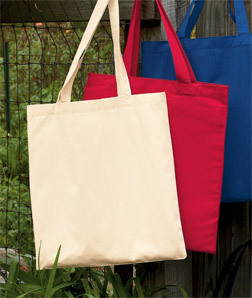 If you need a canvas tote to hold something, you can buy a Liberty Bags - Nicole Cotton Canvas Tote - 8860. 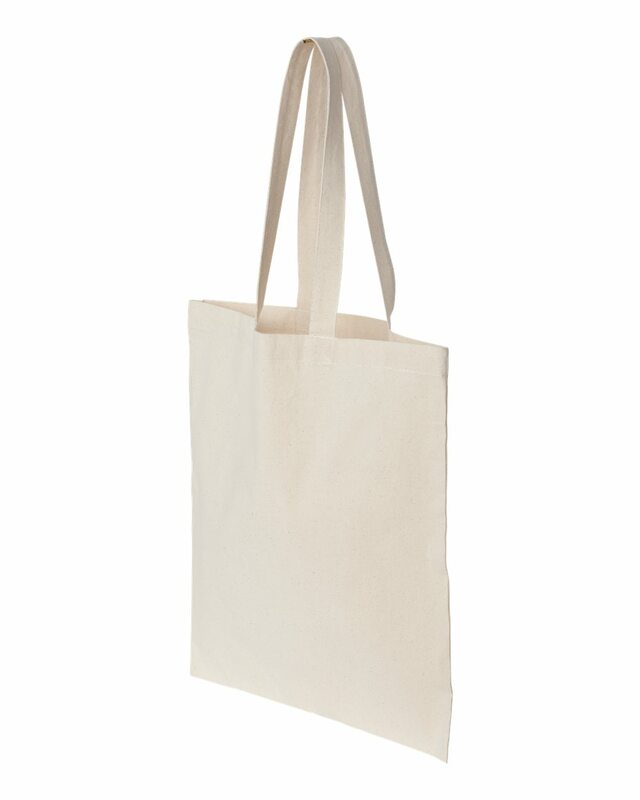 It's really practical for students to hold some books or the office ladies to carry something. 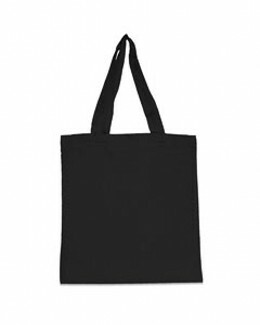 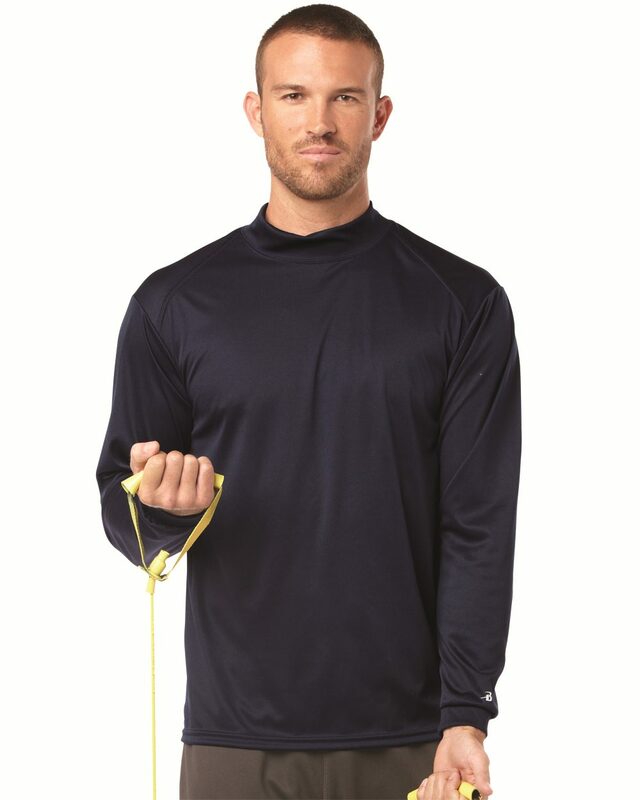 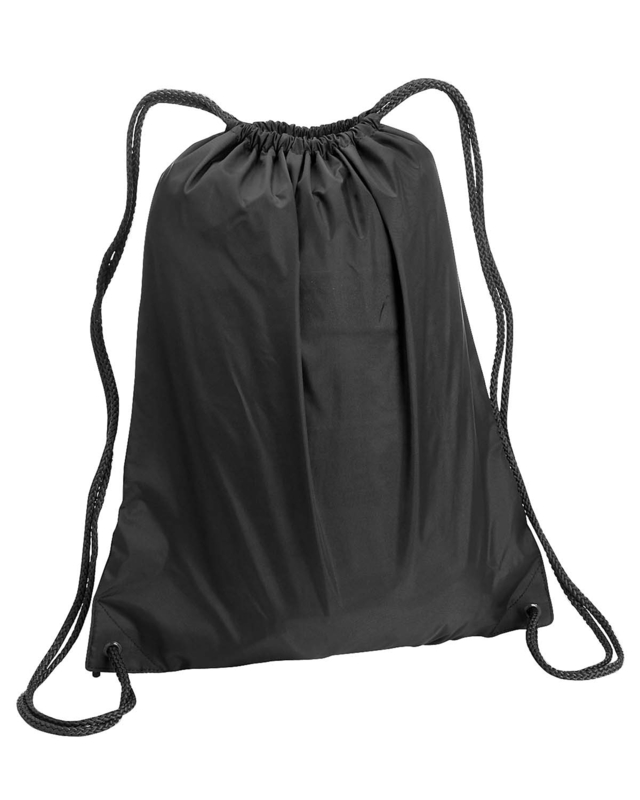 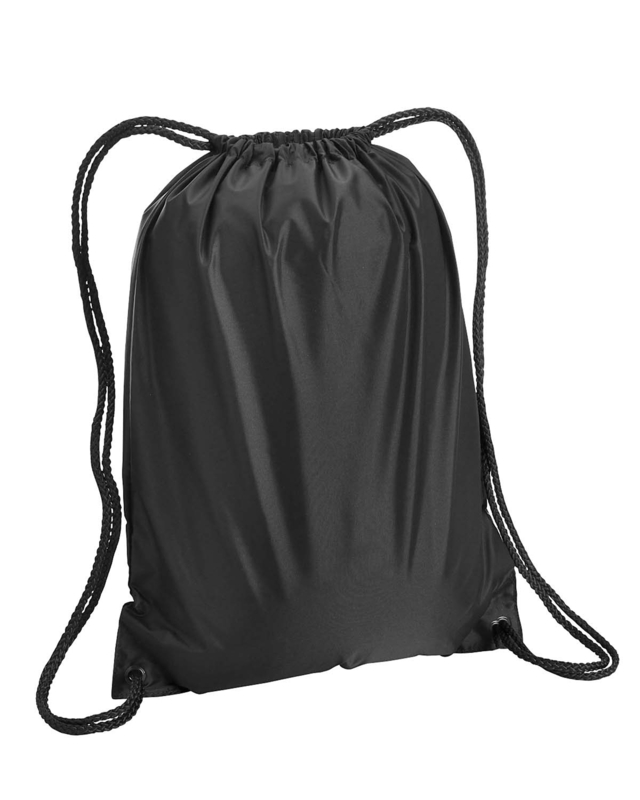 The material is 100% cotton canvas, and it weighs 6.0 oz. 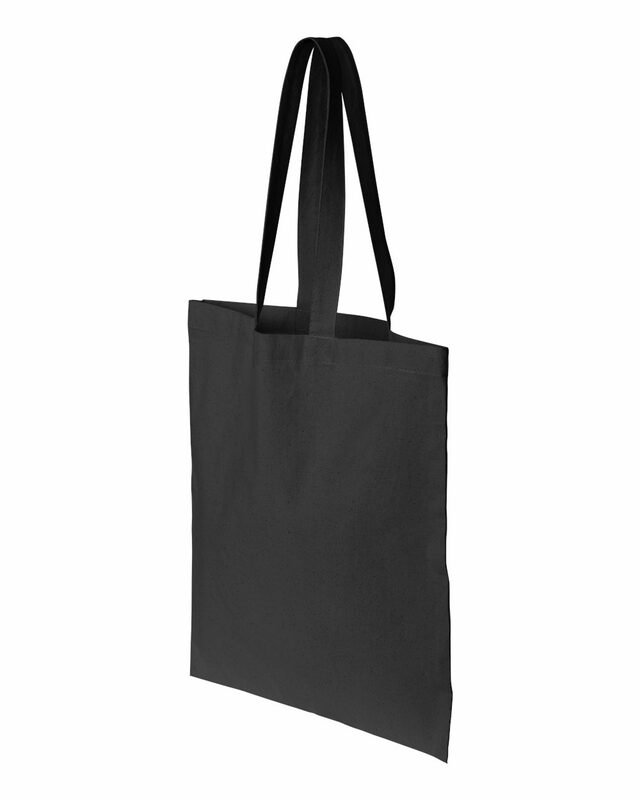 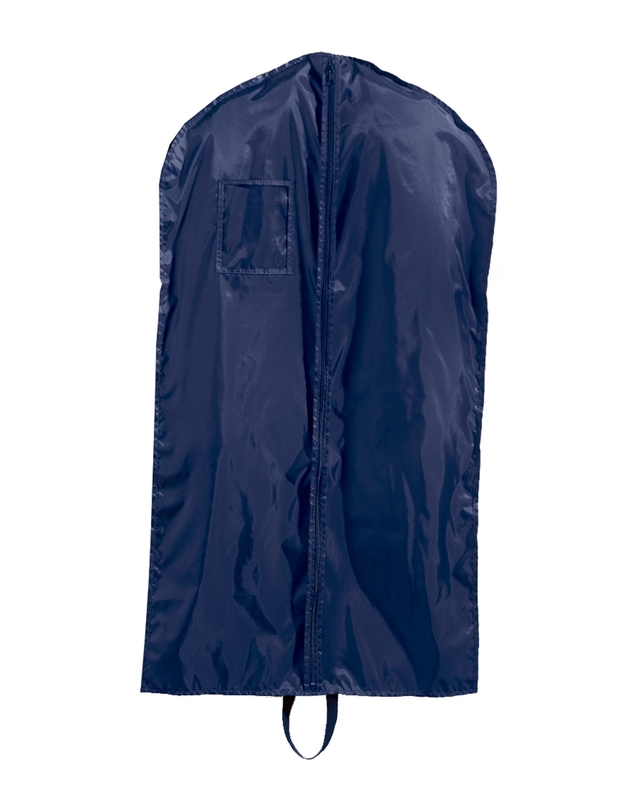 Besides, it has 22" handles and the size is 14 1/2" x 15 1/2". 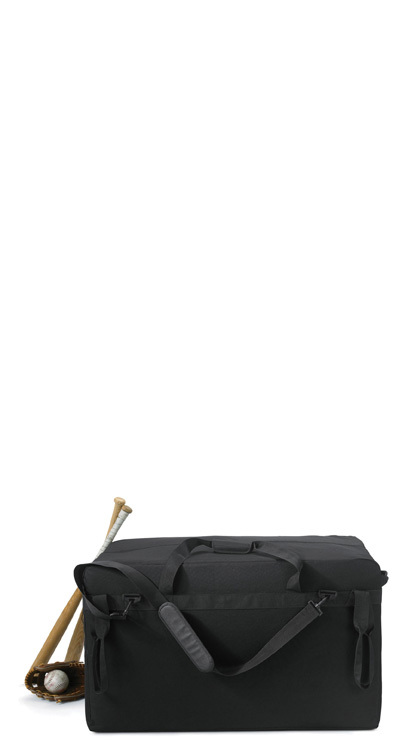 Because of the cancas, you can make sure that the durability.